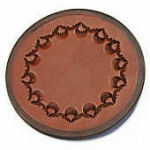 Our drink coasters are made of heavyweight leather decorated with a crisp stamped border. The hand-stamped border will be the same for each set of four coasters, but the patterns may vary from set to set. Each coaster is 4 inches across -- large enough for a man-size mug. The coasters are available in your choice of black, medium brown, and dark brown. View colors... 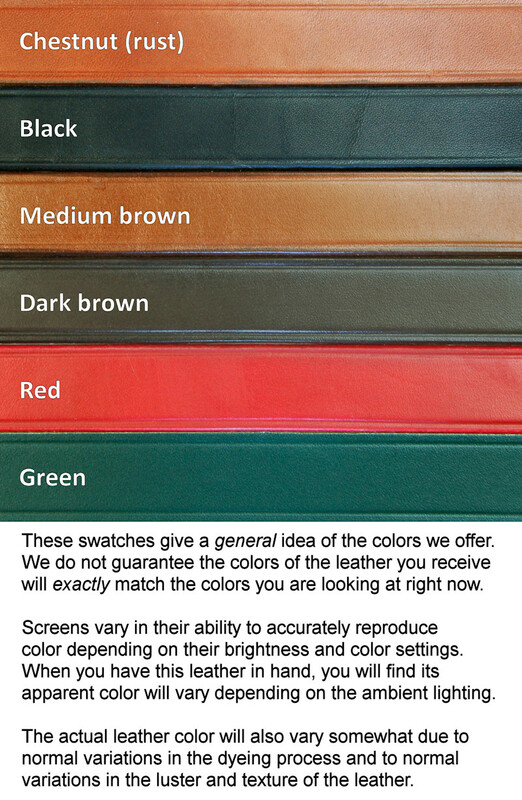 I am especially fond of the medium brown (shown here). The color is light enough to show off the stamped pattern nicely and develops an attractive, rich patina from use. Sold per set of four coasters.